Time is money and every minute wasted means you’re reducing your aggregate profitability ratio. Academic institutes of today may not be able to function properly without a well-organized administration system. School and college owners need to buckle up if they want to get an edge over their competitors. No matter what the size of the institute, anyone can achieve positive results if the school learns the tactics of time management. Running a school effectively can always be a challenge for any school admin. In today’s highly competitive education industry, admins can’t just rely on costly and time consuming methods of administration; they need to think out of the box. When it comes to having access to important information such as exam schedules, result cards and attendance reports, it may waste a lot of time if the admin is relying on various traditional methods of administration such as register keeping, offline spreadsheet and postal services. Schools and colleges of today are required to stay alert and attentive at all times. All important information needs to be at the fingertips of the school admins as well as the parents, teachers and students. The only way to do that is via online school management system. 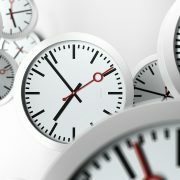 Automation of records is the only way to manage time effectively. Once all financial and academic data is being controlled via cloud-based technology, no one has to depend on telephone calls, emails or postal services. Schools and colleges of today need to make sure everything goes according to the planned and designed academic curriculum and that can only be possible with the help of the digital school management system. When it comes to data management, school admins are required to make sure everything goes according to the requirements of the institute. In order to complete all procedures in time, stakeholders need to get rid of all traditional methods of administration. When it comes to students and parents of today, they would never like to wait for exam schedules and result cards more than the required time. Similar is the case with school admins. It is always good to have a centrally controlled academic institute than assign multiple departments to multiple employees. In today’s rapidly progressing society, no one likes to wait therefore; it is always good to have a well-organized administration network. Any school or college will only be able to run successfully if all its procedures and departments are well-connected with each other. When it comes to running an academic institute, success only comes when an admin manages to have better and quicker management strategies. School is all about learning discipline and that should not only be restricted to students in fact, everyone including, admins, teachers and parents are also required to learn discipline. It does not just make administration easy, but also results in increased student-teacher productivity.